Brother Jesse Blog: Jasiri X remixes Kanye's song 'Blood On The Leaves': "We got so many Trayvons we need God to give us a groupon." Jasiri X remixes Kanye's song 'Blood On The Leaves': "We got so many Trayvons we need God to give us a groupon." The People's MC Jasiri X is back on the mic once again bringing what most artist care not to. 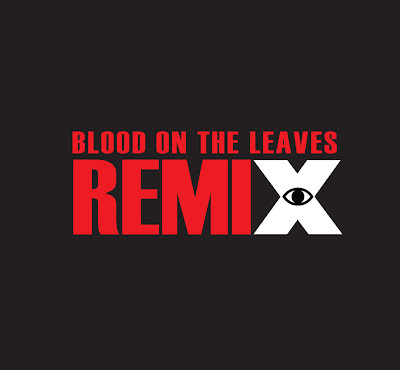 This time he remixes Kanye West's song "Blood On The Leaves" to infuse some lyrics that go to the heart of the present atmosphere in America, following the not guilty verdict in the trial of George Zimmerman. "I chose to remix Kanye’s song “Blood on the Leaves” because I felt like the sample he used from Billie Holiday’s “Strange Fruit” is even more relevant today," says Jasiri X. "Whether it’s the over 500 murders last year in Chicago or the 313 Black people killed last year by the police, security guards, and people like Zimmerman. Our blood is on the leaves, and it seems like it’s in best interest of America and these corporations." Last year, Jasiri X released one of the most impactful songs titled "Trayvon." This brother's voice is greatly needed. This is why he's been on my blog more than any other artist ever. In a recent blog post on Black Youth Project, Jasiri writes, "In the aftermath of the not guilty verdict in the Zimmerman trial, I began to think about how not only is Black death acceptable in America, it’s profitable. "